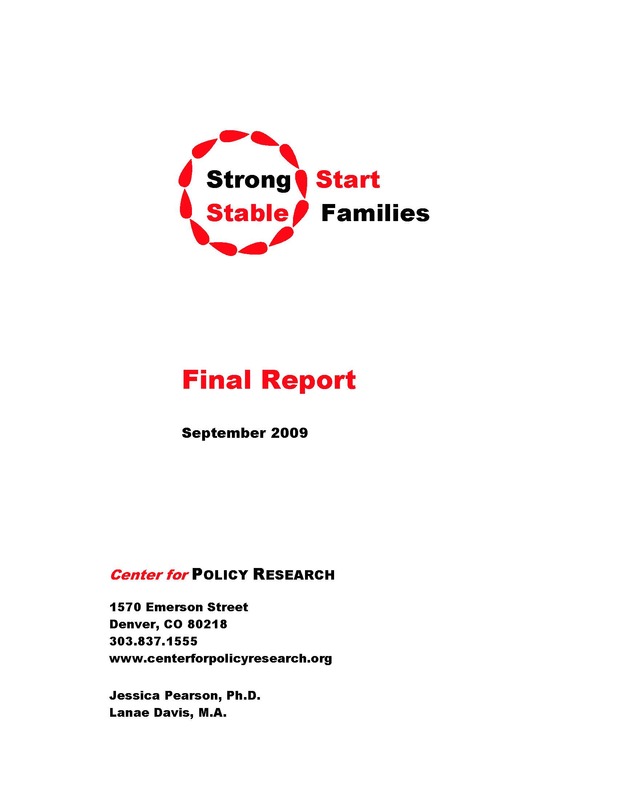 Funded by the Federal Office of Child Support Enforcement (OCSE) under a Section 1115 research and demonstration grant to the Texas Office of the Attorney General (OAG), Strong Start – Stable Families (SSSF) was conducted by the Teen Health Clinics of Baylor College of Medicine in Harris County, Texas, which intervened with young, unmarried parents prior to the birth of their babies to encourage stable relationships, promote paternity establishment, and reduce adversarial child support proceedings. The intervention that Baylor Teen Health Clinic adopted and modified was a group prenatal care program known as CenteringPregnancy. To the regular CenteringPregnancy curriculum, which consisted of twelve, two-hour sessions offered at two-week intervals that combined physical assessments with educational material on pregnancy, childbirth and infant care in an interactive group setting, Teen Clinic staff added material on paternity, child support, and healthy relationships drawn from both the OAG curriculum Parenting and Paternity Awareness (p.a.p.a.) and OCSE resources Parenting Two-gether, Maps for New Dads, and The Power of Two that teaches adolescents about the rights and responsibilities of parenting, paternity establishment, and healthy relationships.